today these sought after adapters are almost impossible to find! 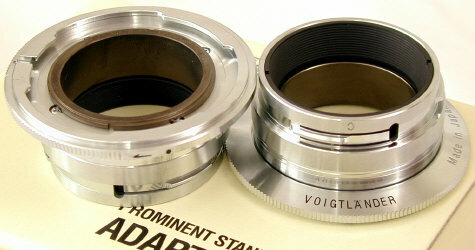 Use Classic Voigtlander Prominent 50mm lenses on your Nikon Rangefinder with FULL Rangefinder Coupling! 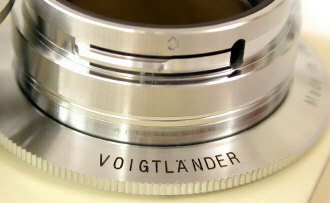 Introduced in May 2003, the Voigtlander Prominent S adapter is for Nikon Rangefinder bodies. 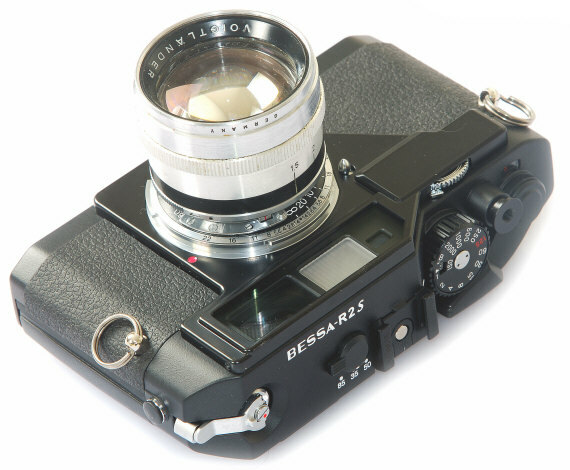 The Prominent C adapter is for classic Contax Rangefinder bodies (not modern G series) and Russian Kiev Bodies. 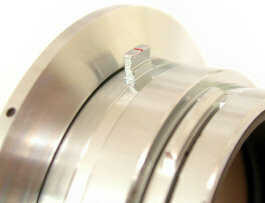 Notice the high quality machining and finish, as well as the "C" engraving which indicates this adapter is for Contax I, II, III, IIa, IIIa, and Russian Kiev Contax copies. Note this adapter works with classic Voigtlander Prominent 50 mm lenses only -- not other focal lengths. Why go to all the bother? Because some people consider the classic Voigtlander 50/1.5 Nokton the very best of all the classic 50mm lenses of the 50's -- better than anything from Leica, Zeiss, Canon, or Nikon. Obviously such an opinion is just that. 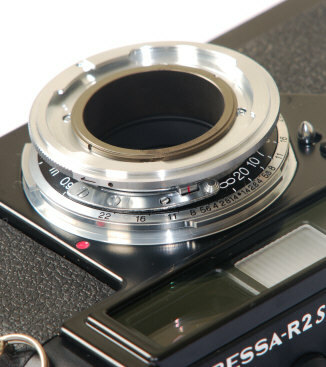 Nevertheless few would deny the Prominent's 50/1.5 Nokton is among the very best classic fast 50's, regardless of the mythical Number One ranking. 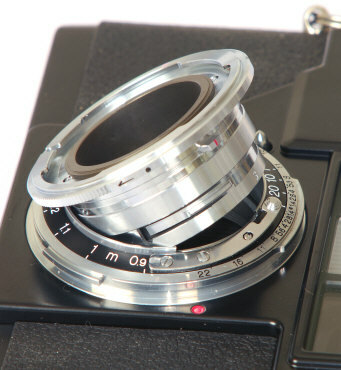 So far as I know, this is the first Prominent lens adapter manufactured by a camera maker to use the classic Nokton (as well as the 50/2 Septon) on either Nikon or Contax rangefinders.